Will there be elections in the country next year as widely expected? The General Overseer of the Redeemed Christian Church of God (RCCG), Pastor Enoch Adeboye, fears there may not be, especially if the wave of killings by herdsmen is not stopped immediately. He even fears there may be no Nigeria unless the authorities find a lasting solution to the problem. 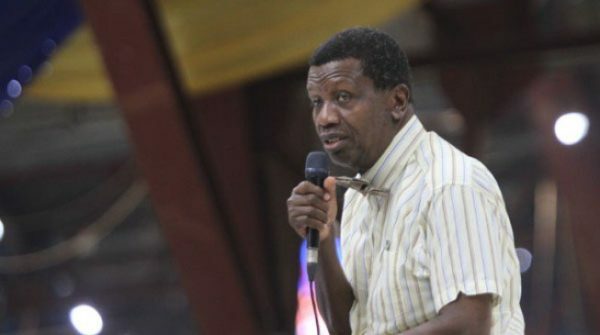 Speaking at the May 2018 Holy Ghost service on Friday night, Adeboye stated that there was no way he could continue to keep quiet while the killings, which have been counted in thousands this year alone, went on. He spoke against the backdrop of the killing of two Catholic Church priest in Benue State, a fortnight ago and several attacks on churches. Adeboye, speaking on the theme, ‘Stronger than your enemies – 5 (Habitation of the Almighty)’ said: “There is no father that will lose 19 children in a day and be quiet. It doesn’t matter the denominations. “All Christians in Nigeria call me daddy, so when anyone of them dies it’s my son that is dead. “We need to pray because unless these killings stop immediately even Nigeria may not live. We are not talking about individuals we are talking about Nigeria itself. “A bishop asked me some time ago what God had revealed to me about 2019 election. President of the Christian Association of Nigeria (CAN), Rev. Supo Ayokunle, agrees with Adeboye, saying the federal government appears uninterested in stopping the killing. Speaking through his Special Assistant Media and Communication, Rev Bayo Oladeji, Ayokunle said: “We are happy that Pastor Adeboye has spoken his mind on the killings. Nothing can be farther from the truth. “Maybe the government will finally wake up to its responsibilities now. This administration has been giving excuses for the killings. “The Inspector General of Police blamed it on the law against open grazing. How about the killings in states without the law in place? The Minister of Interior said it was because the grazing lines were blocked. National Publicity Secretary of the Pentecostal Fellowship of Nigeria (PFN), Archbishop Emma Isong, believes Adeboye must have spoken after a deep insight into the spiritual world. He urged government to listen to the prominent preacher who, he said is not known for frivolous talks. Isong accused the federal government of not doing enough to stop the killings, saying this situation was saddening. Presiding Bishop of Dominion Chapel International Churches (DCIC) Abuja, Archbishop John Praise, said: “The indices are not good at all and at the scale we are going, we might as well forget the elections and the nation. Everything appears set to return the government whether elected or not. The Secretary of PFN in Lagos, Rev Toyin Kehinde, is also of the opinion that the killings must stop for Nigeria to stand the chance of surviving and holding elections. “The government should stop the killings because you want to rule over living people. If the people are dead, who will you rule over? “I hope the killings are not a ploy to postpone the elections or ensure they don’t even hold. We are tired of bloodshed because life is very precious. The Nation reports that the Director of Media and Public Relations Methodist Church of Nigeria (MCN), Rev Dapo Daramola, said the killings, though saddening, will not stop the elections. He expressed faith in the capacity of government to halt the killings. His words: “We believe the killings are fallouts of criminalities and the government will live up to its responsibilities.